1. 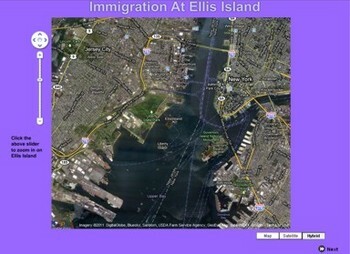 Use flash to Google down to Ellis Island. 2. Sing the immigration song with Neil Diamond. 3. PG13 - Watch Hitch and Sara go through Ellis . 6. 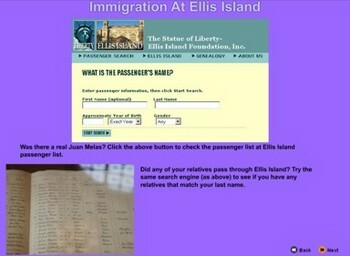 Did your relatives pass through Ellis Island? Search the database..
7. See where they came from and where in the U.S. they went. 8. Take the quiz and read the bar graph.